LOS ANGELES (AP) — Los Angeles County Sheriff’s Department investigators have reopened the case of actress Natalie Wood’s 1981 drowning after receiving new information they deemed credible enough to warrant another look at one of Hollywood’s most enduring mysteries. A detective said Nov. 18, however, that the three-time Oscar nominee’s husband, actor Robert Wagner, was not a suspect. Los Angeles County Sheriff’s Department Lt. John Corina said nothing has yet changed the official view that Wood’s death in the chilly waters off Santa Catalina Island’s Two Harbors was anything but an accident. “Right now, her death is an accidental drowning,” Corina said. Corina said Nov. 18 that two detectives would delve into the case and interview witnesses, including some who have come forward since the announcement a day earlier that the actress’ death is being reviewed again. Corina declined to say whether all the new information came from Dennis Davern, who was the skipper of the yacht Splendour that Wagner, Wood and actor Christopher Walken were aboard on Thanksgiving weekend in 1981. Davern said on national television Nov. 18 that he lied to investigators about events aboard Splendour when he was interviewed after Wood’s death. On Nov. 29, 1981, Wood drowned after spending several hours drinking in a yacht with Wagner, Walken and Davern. Davern told NBC’s “Today” show Nov. 18 that he made mistakes by not telling the truth about events leading to the death and had urged Los Angeles County Sheriff’s homicide investigators to reopen the case. It is Davern’s latest attempt to change the official account of what happened. “Was the fight between Natalie Wood and her husband Robert Wagner what ultimately led to her death?” show host David Gregory asked. “Like I said, that’s going to be up to the investigators to decide,” Davern said, after a long pause. Davern said he believes Wagner had intentionally kept the investigation into Wood’s death low-profile and didn’t do everything he could have done. When Gregory pressed Davern for supporting details, he said that was the duty of investigators. Davern has said for years that the official account of Wood’s disappearance was not what really happened, including in a 1992 appearance on a Geraldo Rivera special and in a 2000 Vanity Fair magazine article. He also worked with author and friend Marti Rulli on “Goodbye Natalie, Goodbye Splendour,” a book released last year. Corina said he was not concerned about a 2010 book Davern co-authored on Wood’s disappearance, or that the 30-year anniversary of the actress’ death was approaching. Sheriff’s Department spokesman Steve Whitmore said Nov. 17 the renewed inquiry was prompted by unspecified new information about the case. The Los Angeles Times reported that Sheriff Lee Baca said detectives want to talk to Davern and that he had “made comments worthy of exploring.” The newspaper said the agency had also received information from an unidentified third party. In the Vanity Fair story, Davern is quoted as saying that Wood and Wagner fought in their cabin before the actress disappeared. Coroner’s officials ruled her death an accidental drowning, perhaps caused by her slipping off the boat while trying to tie down a dinghy. Assistant Chief Coroner Ed Winter said the agency hadn’t been asked to do any additional investigation into Wood’s case. Sheriff’s Department officials are also hoping for tips from the public that may shed new light on how Wood, who was afraid of being in the water, ended up drowning. Wood received Academy Award nominations for “Rebel Without a Cause,” “Splendor in the Grass” and “Love with the Proper Stranger.” She was 43 when she died. She and Wagner were twice married, first in 1957, before divorcing six years later. They remarried in 1972. Wagner, star of the television series “Hart to Hart,” wrote in his 2008 autobiography, “Pieces of My Heart,” that he blamed himself for his wife’s death. He recounted the night of Wood’s disappearance, during which the couple and Walken drank at a Two Harbors restaurant and on the boat. Wood went to the master stateroom during an argument between her husband and Walken over the acting profession, Wagner said. The last time Wagner saw his wife, she was fixing her hair at a vanity in the head compartment, and she shut the door. He wrote that he never saw his wife after she died and has never returned to Catalina Island. 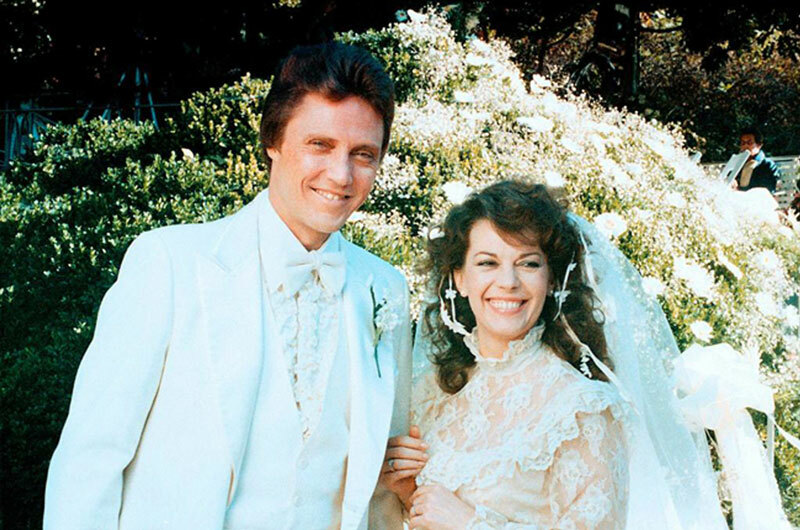 Walken and Wood were co-stars in “Brainstorm,” which was the actress’ final big screen role. In a 1982 interview on “Good Morning America,” Walken insisted he did not quarrel with Wagner. “No, that’s not true,” Walken said when asked if a fight was the reason Wood left the yacht. “They were very good to me, that family, and that’s not true. “We were having a Thanksgiving weekend, a good time” he said.